1. you should have 1st pickup from our website, and shoot a video in HD (3-5mins). Description:please add our skype and website in the Description. 3. 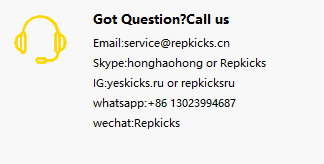 Email to Service@repkicks.cn with video link and related order number. we will can check it and email u back.